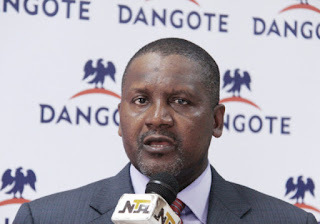 The Dangote Foundation announced on Monday in Maiduguri that it had set aside 106 truck-loads of food items for distribution to Internally Displaced Persons (IDPs), in Borno during the Ramadan fast. Hajiya Zouwaira Yousif, a member of the foundation, stated this at the launching of the distribution of the items to the IDPs in Maiduguri. Yousif said that about 30,000 IDPs were expected to benefit from the programme that was aimed at providing succour to the displaced persons. She said that the idea was mooted by the chairman of the foundation, Alhaji Aliko Dangote, after his visit to the state last month. “The whole exercise is aimed at providing food to Borno IDPs to enable them observe the Ramadan fast with ease. “The idea was conceived by Alhaji Aliko Dangote after he visited the IDPs camps in Maiduguri and was touched by their situation,” she said. She explained that each IDP will receive a 50 kg bag of rice, a carton of noodles, a packet of sugar, salt and some seasonings under the programme. The official said that 43 trucks had already arrived Maiduguri for distribution to the beneficiaries. “We are expecting the remaining consignment in Maiduguri as soon as possible. “After the official flag-off, the remaining items will be distributed to the IDPs by a team comprising members of Non-Governmental Organisations (NGOs), and other emergency agencies to ensure that only those in need are given,” she said. Yousif said that the gesture was in addition to a pledge of N2 billion cash donation made by Dangote to the Borno Government toward improving child and women health. In his remarks, Gov. Kashim Shettima commended the foundation for the gesture and urged other philanthropists to emulate it.